An antique aquatint engraving by Charles Bentley after Henry Alken. 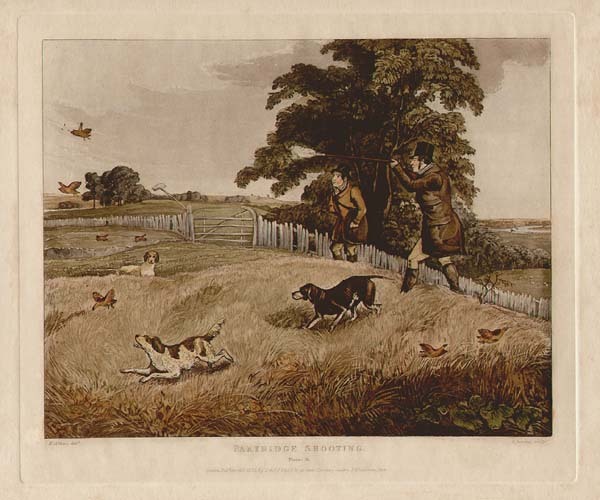 This is Plate 4 of the Partridge Shooting set of 4. Published by S & J. Fuller in 1835. Early colouring. Some yellowing and age toning. An antique aquatint engraving by Charles Bentley after Henry Alken. 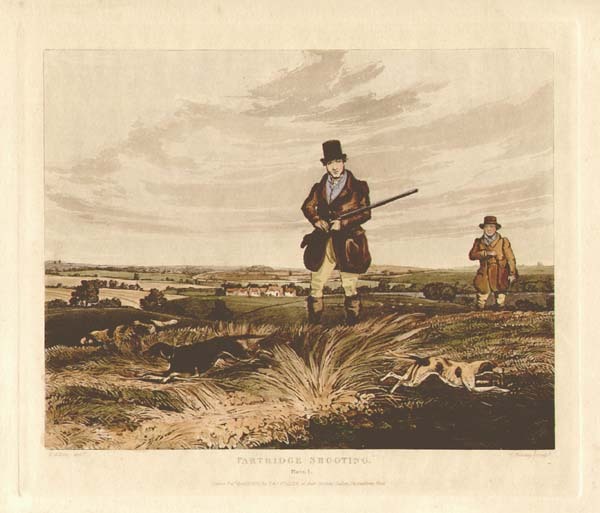 This is Plate 3 of the Partridge Shooting set of 4. Published by S & J. Fuller in 1835. Early colouring. Some yellowing and age toning. An antique aquatint engraving by Charles Bentley after Henry Alken. 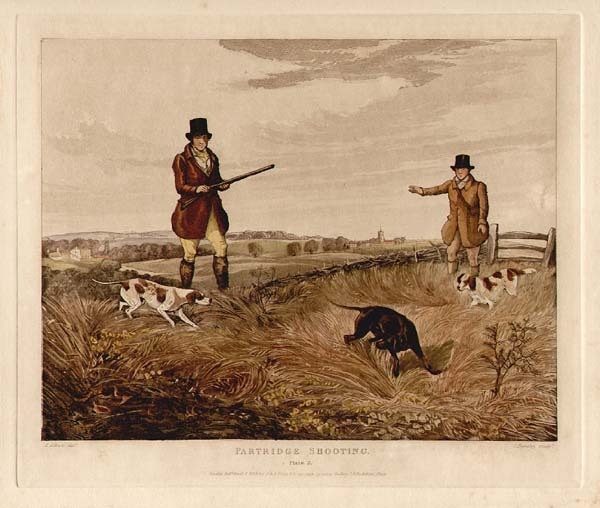 This is Plate 2 of the Partridge Shooting set of 4. Published by S & J. Fuller in 1835. Early colouring. Some yellowing and age toning. An antique aquatint engraving by Charles Bentley after Henry Alken. 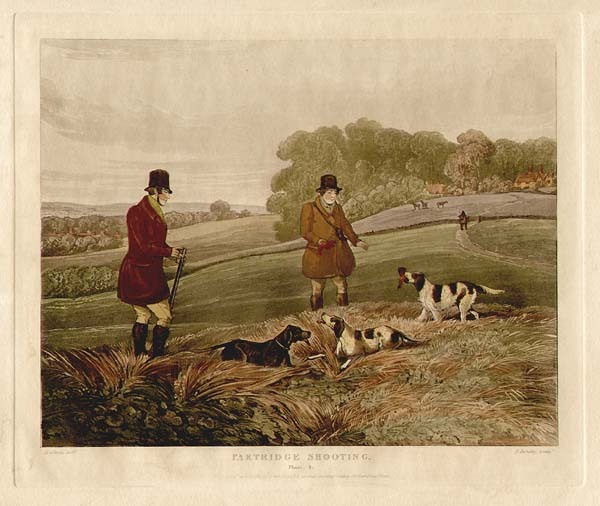 This is Plate 1 of the Partridge Shooting set of 4. Published by S & J. Fuller in 1835. Early colouring. Some yellowing and age toning.